The temperature is rising here in Barcelona, I find myself out and about more often. The only problem is sometimes I forget to bring food with me when I leave for the day. This happened to me more recently the other day. 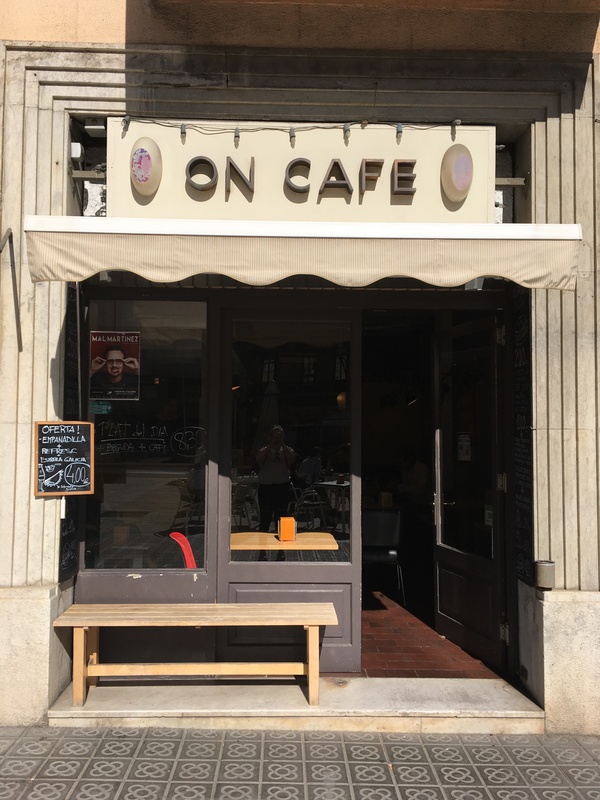 I went for a walk and 5 hours later I was hungry and found myself at On Cafe on Passeig Sant Joan. Even though this special cafe is on a busy street, the quiet and mellow vibes make it peaceful. As you step in the yellow walls and the strong smell of coffee beans make you forget about the outside world. I ended up spending 2 hours in the cafe and was truly impressed with my entire experience. Like usual, I ordered a cafe con leche, and it was probably one of the best I’ve had since being in Barcelona. On Cafe is somewhat hidden, attracting the attention of only those who take the time to seek out a place like this. Being that it is on Passeig Sant Joan, I expected it to be a tourist hotspot but instead was met with local vibes and welcoming baristas. Overall my experience was great, I had fantastic coffee, a comfortable seat to cool off in after walking around all day, and a deliciously sweet but savoury croissant. Not to mention the open door that made the space light and airy. 10/10 would recommend to anyone looking for a cafe in the centre of Barcelona.